LONG LIVE THE QUEEN If her time at court has taught Catherine anything, it’s that there is no room for weakness in Imperial Russia. With the Empress’ health failing and rumors of a change in the line of succession, her place in the royal line is once more in jeopardy. Tormented by her sadistic husband and his venomous mistress, Catherine must once more walk the fine line between pleasure and politics—between scandal and survival. When her young son becomes the target of those rebelling against Peter’s reign, Catherine will have to rise up to protect herself, her child, and her nation from his unstable and potentially catastrophic rule. This means putting herself at odds with the most dangerous man she’s ever known, trusting those who once proved to be her enemies, and turning a nation against its sovereign. In the ultimate battle for the crown, new alliances will be forged, loyalties will be tested, and blood will be shed. Our Catherine is a clever, clever girl. She is also ruthless, passionate and at times calculating. Forced into marriage and ripped from the arms of her lover; she has suffered lost, is tormented and yet she is forever a lady. Never showing weakness beyond the walls of her quarters. Catherine quickly finds her position in jeopardy as Peter’s mistress sinks her teeth further into him. His radical ideals threaten the court, the church and Russia. As she builds alliances, she also must face the two men she loves.The romance was rather interesting, and young Catherine is quite bold. Can she choose between them? Ficklin weaved a suspenseful tale as Catherine makes moves to secure life for her and those of her son. 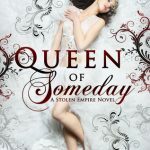 Queen of Always is darker than its predecessors as tension rises and danger lurks. Politics, religion, betrayals, and threats made for a page-turning read. The author managed to have me holding my breath, dropping my chin in shock and even shedding a tear. A mention of coffee..had me smiling! “It’s quite good, I think.” I say, admiring the warmth of the cup in my hand. As we begin the tedious process of dressing and grooming, I sip on the beverage, asking for a second cup soon after the first. Soon I feel my heart speed up, my face flushes, and I feel more awake and alive than I’ve felt in weeks. At times, Catherine is ruthless and her hands have blood on them, yet she is equally compassionate. Even though it causes her to suffer she does not bend in her convictions. Even as she works to secure her place in Russia, she looks to the people and their needs. The balance between her ruthlessness and compassion never ceased to amaze me. 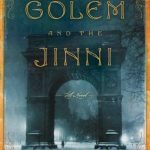 Ficklin’s interpretation of Catherine provides a strong heroine that readers will connect with. For all that she endures, she holds her head high and presents a strong reassuring presence. She is someone whom you respect, even as you guard your back. Queen of Always was a delightful conclusion to the trilogy that I quickly consumed. Fans of historical fiction, suspense and strong characters should consider adding the Stolen Empire trilogy to their bookshelves. I have the first book in this series on my TBR and I am so looking forward to when I cxan read them! 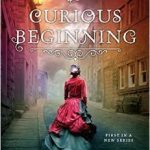 This series has come out so quickly though DD: I love the covers, love politics and historical fiction and am so glad the conclusion to the series was a good one too. Oh enjoy…this was such a delightful trilogy Olivia and the covers….beautiful! It was a fantastic trilogy. I read YA, but not contemporary. Yay I am so glad you will be reading them!! LOL..my daugher is that way. If I say my stomach feels off..the next thing ya know hers is feeling funny. Oh and if she reads the side effects to meds..she gets them!! “At times, Catherine is ruthless and her hands have blood on them, yet she is equally compassionate. ” — it’s a talented author who can create such a character. Thanks for the post. I would have thought she would need a bit of cream and sugar for the coffee as a first taste. 🙂 Cute quote! Oh this sounds interesting despite the tear. 😉 I do love retellings so this one is really up my alley. Gads..all of the covers are simply stunning in this trilogy Kim! Oh my gosh. I just looked and the ARE!!!! This sounds fascinating! I’ve always been fascinated by the Romanovs but never went much farther back than the early 1900s. Catherine sounds like a complex and interesting character and definitely one I would enjoy reading about. This was well done, and while she does take some liberties with the timeline..it is stellar. Did you say Ruthless? Damn, she sounds like my kinda girl. Hi Kim this sounds really good. I didn’t know Clean Teen Pub published adult stuff too. This is YA, but geared for older. I think I remember some of the darker elements in book two had you concerned, but this is a great trilogy. Catherine sounds AMAZING! I think I’ll enjoy this trilogy!! It was wonderful I hope you enjoy it!! Yes, it takes some liberties which she explains in the first book…but it was gripping. There are some dark, violent moments Brandee. I have the first book sitting right next to me in my TBR stack. I hope to get to it soon, I swear I can’t seem to find time to read these days. LOL. On on Sunday Post I talked about having book ADD. I had 4-5 books going at once. Ugh. This series is fantastic Heidi. I’m so happy for Sherry, this has been a really great series. It really was a great series. I am curious to see what she will do next. hummm.. kind of glazed over this series have to admit… going to have to revisit looking at it. Darker you say? Interesting. Not sure this is really my kind of book but that cover is lovely. Catherine is such an interesting character Mary. Lovely review! I’m also a huge fan of gaw-jess book covers and this trilogy has nailed it!! OH NO MY TBR is growing instead of shrinking!!! I agree the covers are marvelous! LOL..my pile shrinks and expands daily! I know how much you like this series Kim! I have the first book (probably because of you!) I just need to actually read it now. I am glad you are going to start them Ali. Now that this last book is out, I’m ready to binge-read! It sounds like an amazing series and I hope I will love it as much as you’ve loved these books. YES…it is so good and I have no doubts you will become caught up in Catherine’s story Nick! Hi Kim…I hope your summer was a good one. This is based on Catherine the Great, and Ficklin does such a great job with her. I hope you decide to try them, plus the covers for this series are simply stunning! This was such a good series Jen. It is based on Catherine the Great, and I have a thing for tales set in Imperial Russia..no idea why….but I do! Enjoy..this was a great trilogy! I kind of skimmed your review, Kim, as I haven’t started this series yet – but four stars for the ending is good, right? And this is a mix of fiction and history, is that correct?